iPhone XS and XS Max hit the stores on Friday and as always iFixit has provided teardown images of the new iPhones. The teardown reveals the latest iPhones are pretty similar to the previous models. iPhone XS on left and iPhone XS Max on right. The shape of battery is completely different. 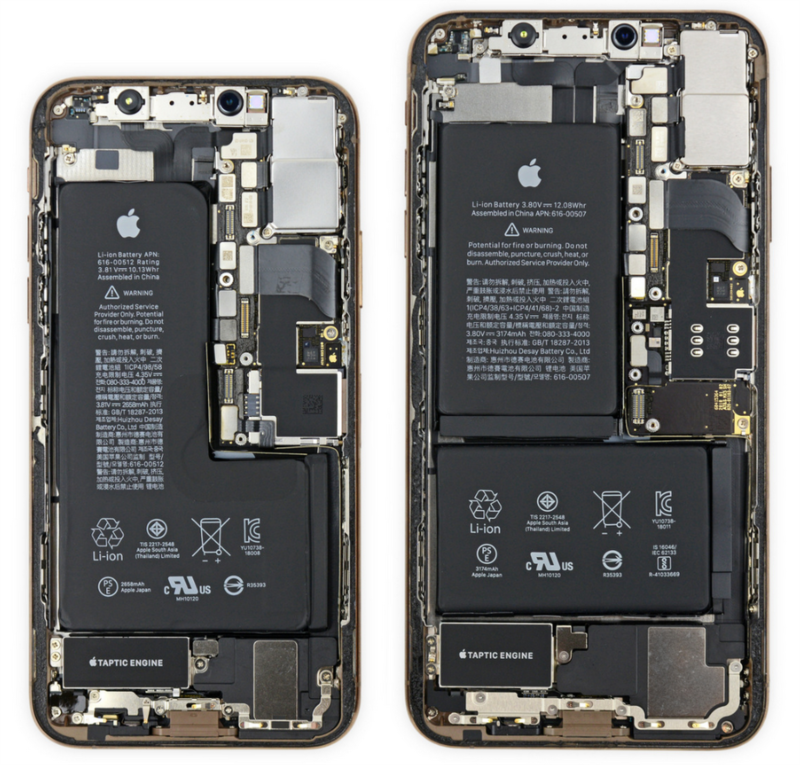 As for the battery shape, “The extra corners and edges of the single-cell battery in the XS will be prone to extra stress,” iFixit mentioned. Totally no big news about internal design, however this year is “S” year of tick-tock cycle. We will see completely new design a year later. In addition, what about component suppliers? Apple is replacing some of suppliers every year. I can’t find the names like Sony, Samsung or Qualcomm. But at least Sony may have a key role in image sensors.